PM Modi went on to describe how his government isn't satisfied with the current result and how he has asked his team to work harder so that India is in the top 50 in the year 2020. 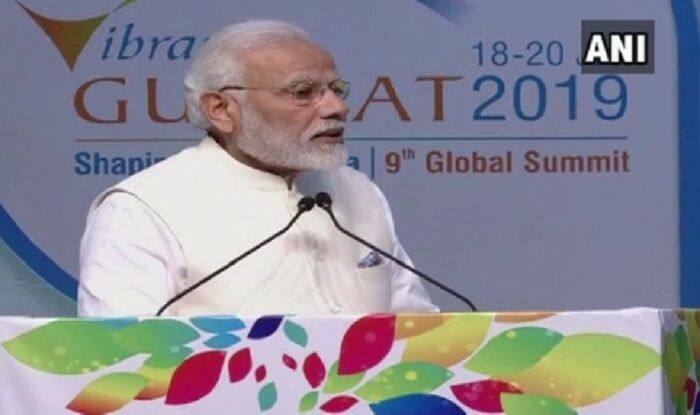 Gandhinagar: Prime Minister Narendra Modi on Friday while addressing nearly 1.5 million visitors and more than 30,000 national and international delegates at the 9th edition of the Vibrant Gujarat Summit spoke about how India is ready for business. Citing the same, PM Modi gave an instance of how India had jumped 65 places in the Global Ranking of World Bank’s Doing Business Report in the last four years. PM Modi went on to describe how his government isn’t satisfied with the current result and how he has asked his team to work harder so that India is in the top 50 in the year 2020. Talking about how India has made Doing Business cheaper, the Prime Minister spoke about how this has resulted in Doing Business Faster through digital processes and single point interfaces. He also talked about the implementation of Goods and Services Tax (GST) and other measures of simplification of taxes that have reduced transaction costs and made processes efficient. “We have paid attention to building new institutions, processes and procedures. All this is important, not just for doing business but also for ease of life of our people,” said PM said after inaugurating the summit. “We have worked hard to promote manufacturing to create jobs for our youth. Investments through our Make in India initiative, have been well supported by programmes like Digital India and Skill India,” asserted PM.